Be Blanc Apartments in Paris tend to start with white walls for a reason: this noncolour-colour, besides being timeless, is the best option for reflecting light and brightening a space. 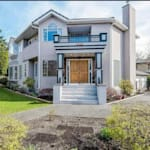 Avoiding colour also places the visual emphasis on texture, the architecture, and the contents of the room, making it a key ingredient to tying the rest of an eclectic space together. Be Bright Besides white walls, another key way to brightening a space is obviously good lighting--even more important in dark Canadian winters. For Parisian appeal, you can't beat a traditional chandelier, contrasted against a sleek modern dining table and/or some cool contemporary lamps. 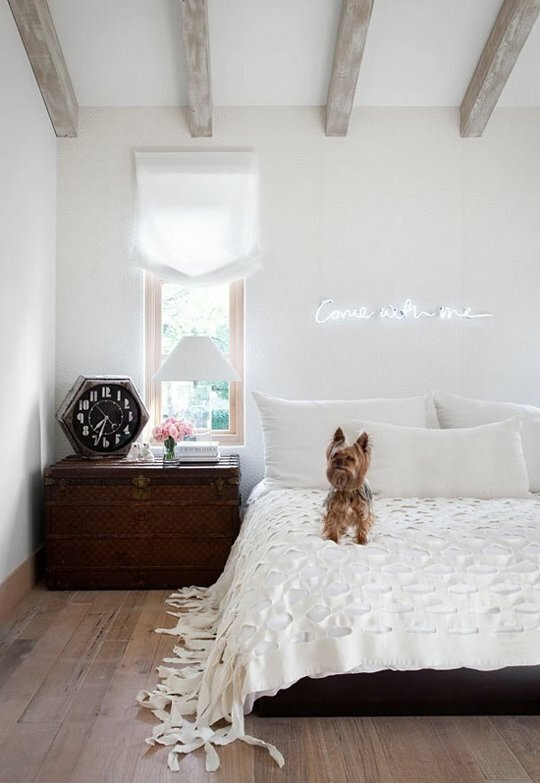 Trendy twist: a vintage neon sign (or one custom made with a phrase of your choosing) gives an ethereal glow. Be Cosmopolitan Don't think because you're going for a Parisian look that you must keep all of your objets strictly French. 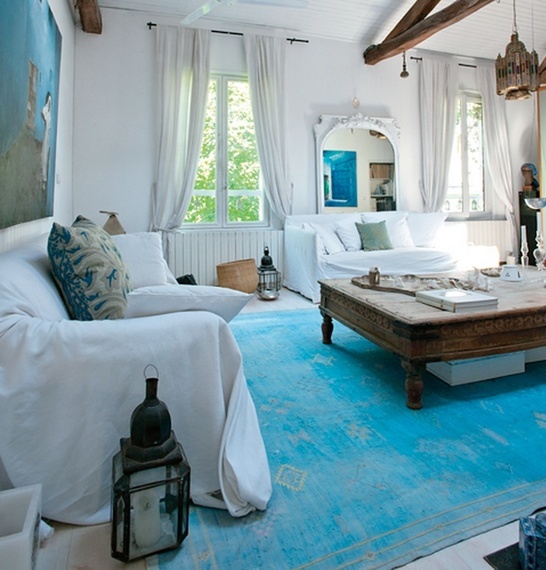 Shoppers in Paris are regular visitors to flea markets and vintage shops (around the country and beyond), and appreciate a little exotic Moroccan flair or dutch modernism, to name just a few examples. Blending together different cultures and periods shows a true appreciation for art and design, and a sense of worldliness. Be Thrifty Speaking of fleamarkets, these can be an excellent place to find quality items with a little wear and tear, that give a certain character to your space which hints at hidden stories. 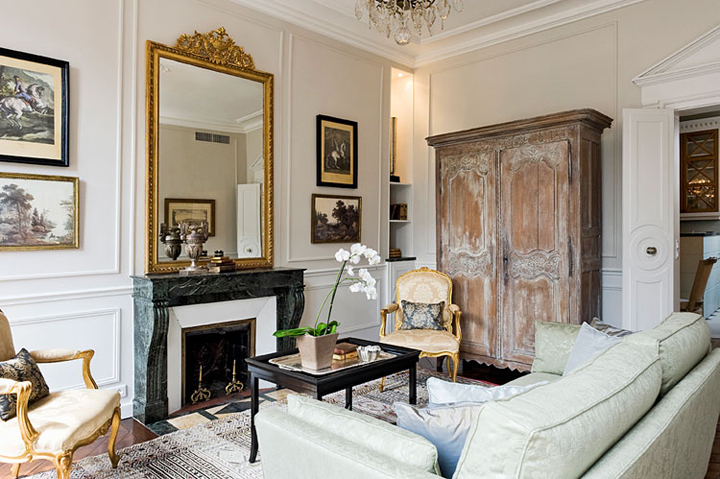 The Parisian look leans more toward rich history than busy clutter, so choose fewer, quality items (which does not necessarily mean pricey) and let them speak for themselves. Tip: Old worn-in books are a great inexpensive way to bring this essence to shelving or a coffee table. Be Fashion-Forward Being trendy is one thing, and being stylish is another. One excellent way to reflect your personal style in an individual way is to bring elements of fashion into a space. Old mannequins or sewing tables make whimsical accents to a room, but you can also try hanging an item of clothing or two like a miniature shop display -- anything from a wedding dress to simply a favourite hat. 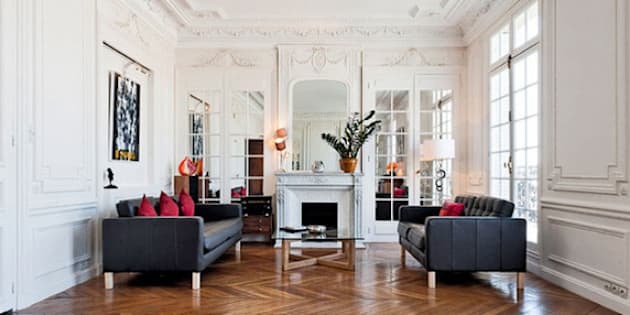 Be Reserved Despite being filled with intrigue, a Parisian apartment tends to have a particular quiet, demure charm, partially due to the reserved colour palettes heavy on mixed woods, sumptuous leathers, smokey greys and more white. Little hits of colour go a long way here, so if you aren't sure about a bolder item, leave it stored away, making sure each piece you do display is precious. 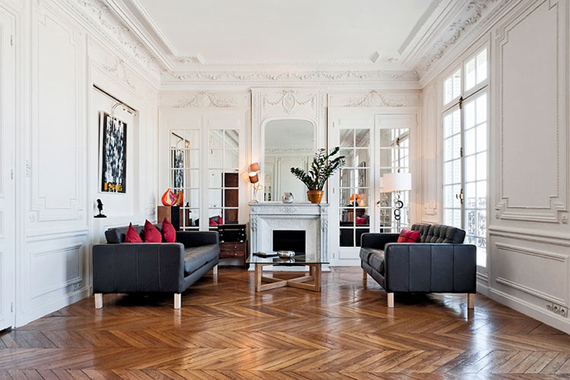 Be Free With a solid base in place, the artistic spirit of a Parisian apartment comes from a sense of confidence in every choice, and a willingness to play with (and break) the "rules" of decor. 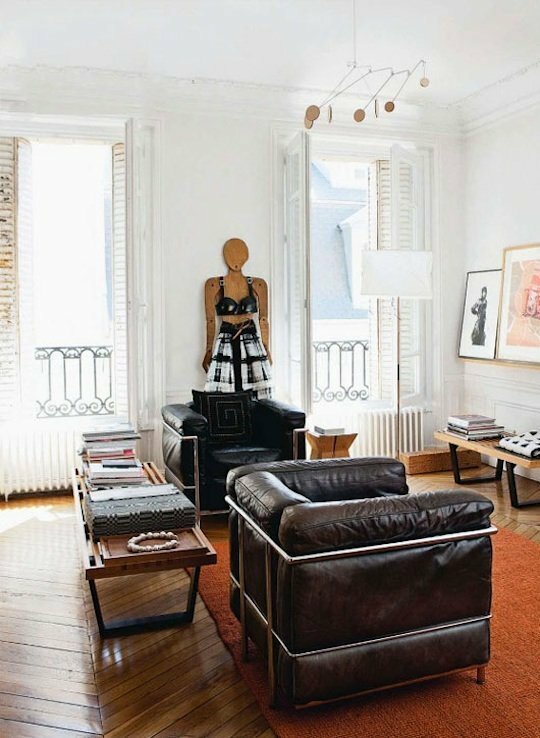 Pile paintings or magazines against the walls like in an artist's studio, overstuff a bookshelf, hang a piece that feels a little too big -- whatever you do, do it with gusto, as if to say "this is MY slice of Parisian paradise."